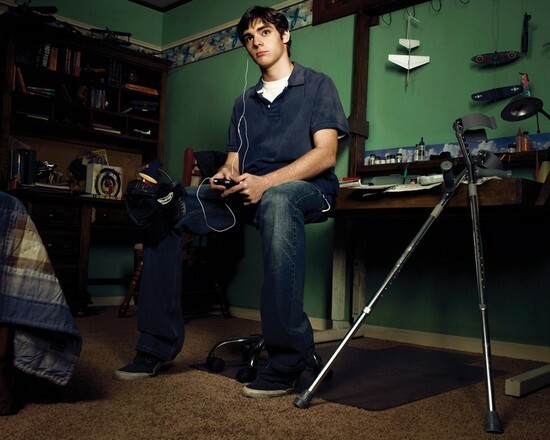 A "Breaking Bad" actor who has cerebral palsy says he understands the outrage a Sanford father felt in lashing out about school bullying. RJ Mitte (pictured), who plays the son of Bryan Cranston, today issued a statement saying he is familiar with such bullying. James Willie Jones of Sanford boarded a school bus to confront students he said had ridiculed his daughter, who has cerebral palsy. In his statement, Mitte said: "It's unfortunate that he didn't have better recourse than to act out as he did. Mr. Jones has come forward and taken responsibility for his actions. But what about everyone else in this situation who is culpable apologizing for their lack of action?" Mitte, who recently turned 18, is spokesman for I AM PWD (Inclusion in the Arts and Media of Performers With Disabilities). Jones, who was charged with disorderly conduct and disturbing a school function, appeared on ABC's "Good Morning America" this week to speak out against bullying. He also urged parents not to follow his example in lashing out. Mitte said safeguards in the system are needed to curb bullying. "I'm told that one in three teens says that they have been bullied at school," Mitte said. "I know from personal experience that the bullying of a disabled person can still be seen by some as acceptable or is given a silent pass. But that kind of thinking is wrong. We all need to do a better job at speaking up and saying so when we are witness to this kind of abuse. It's encouraging that this incident has sparked a nationwide discussion."